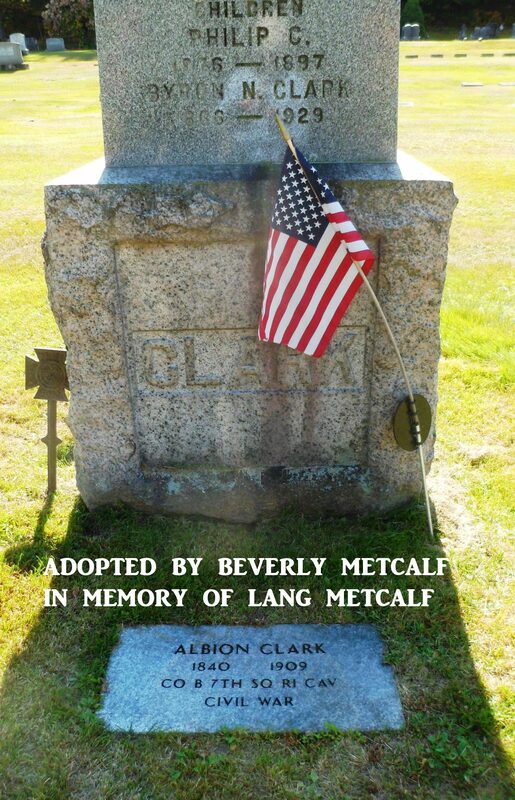 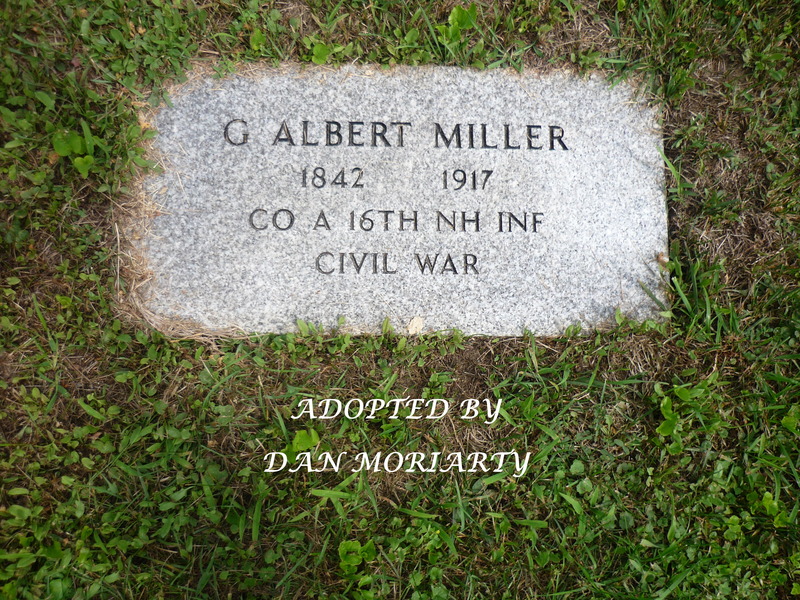 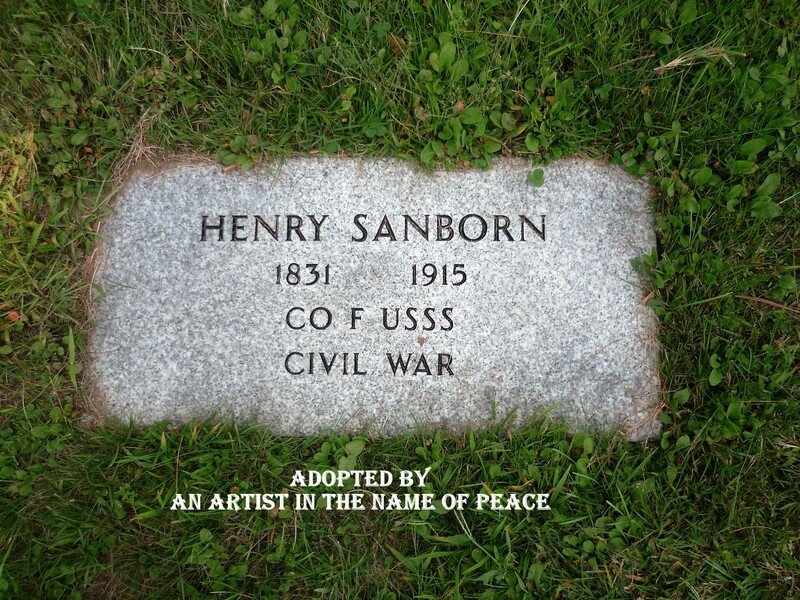 “Adopt a Civil War Veteran” is a community non-profit project. 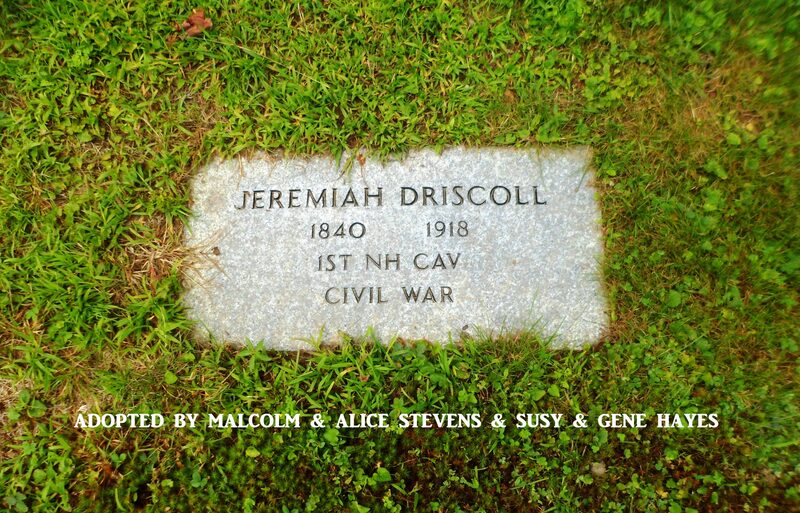 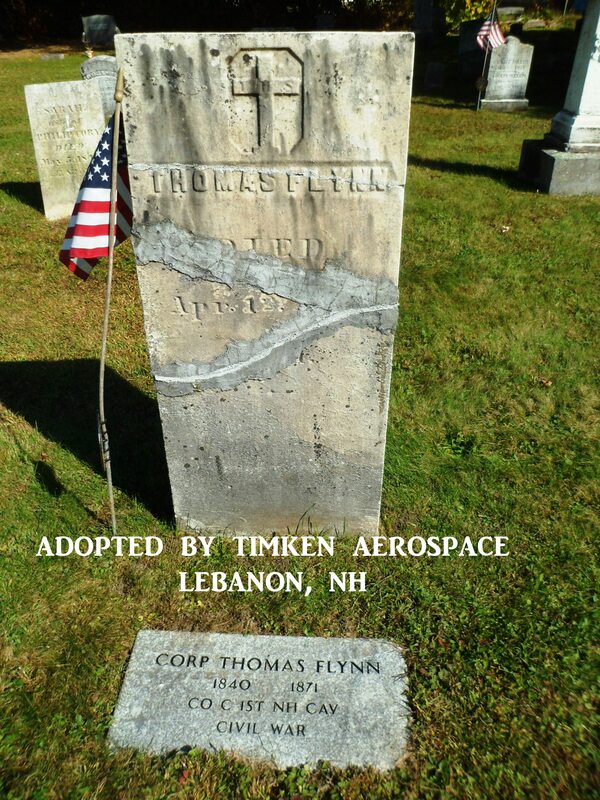 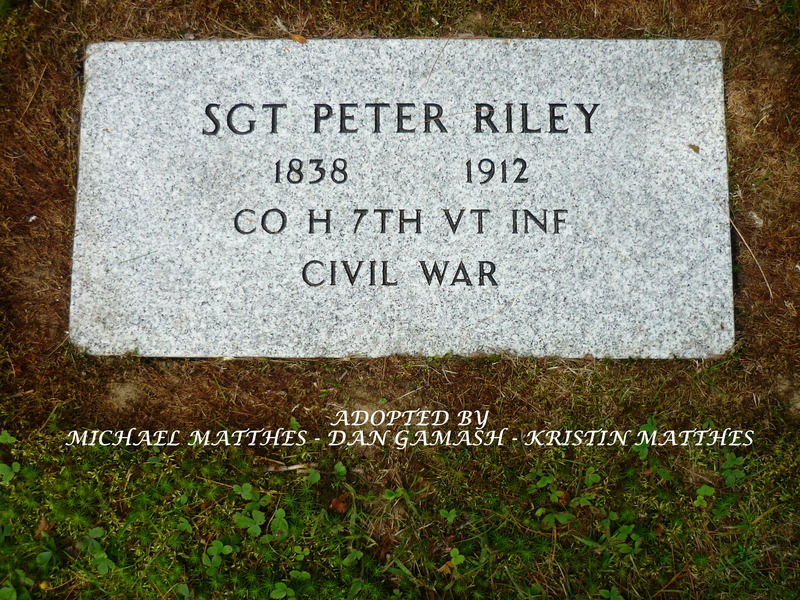 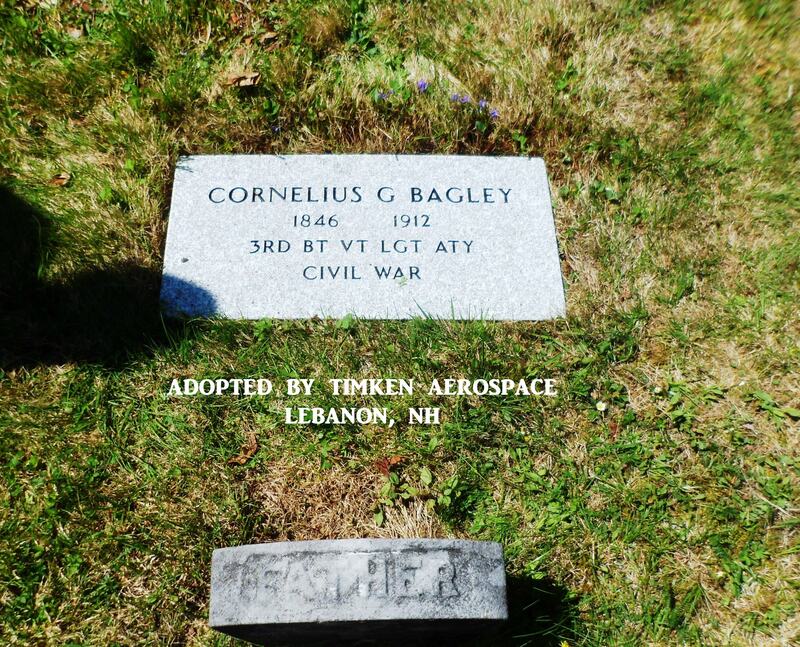 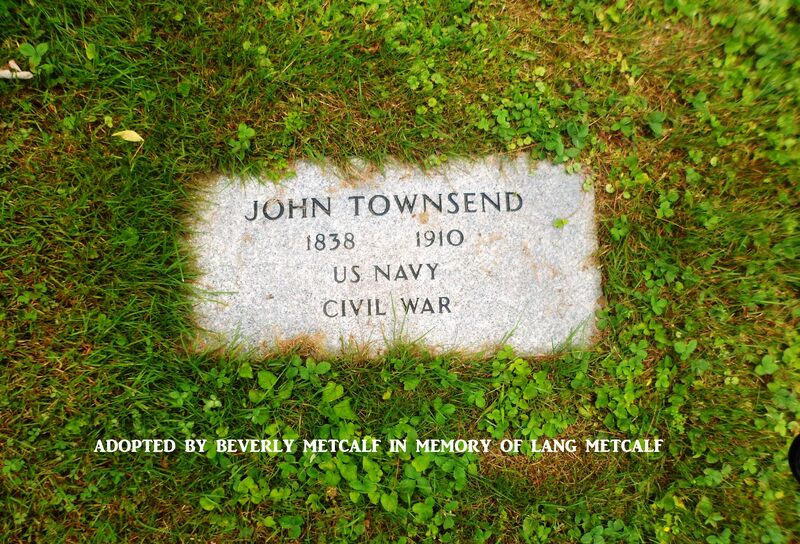 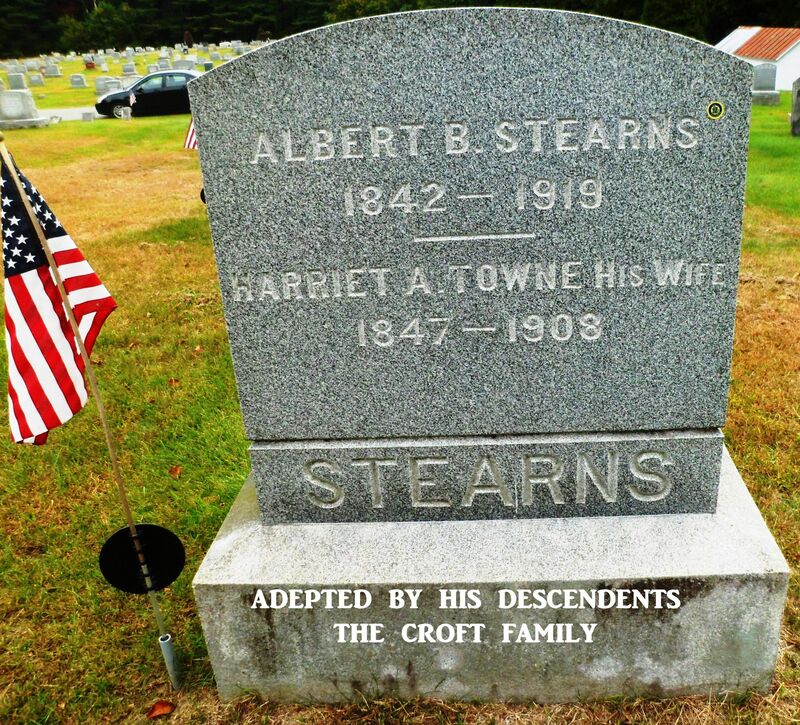 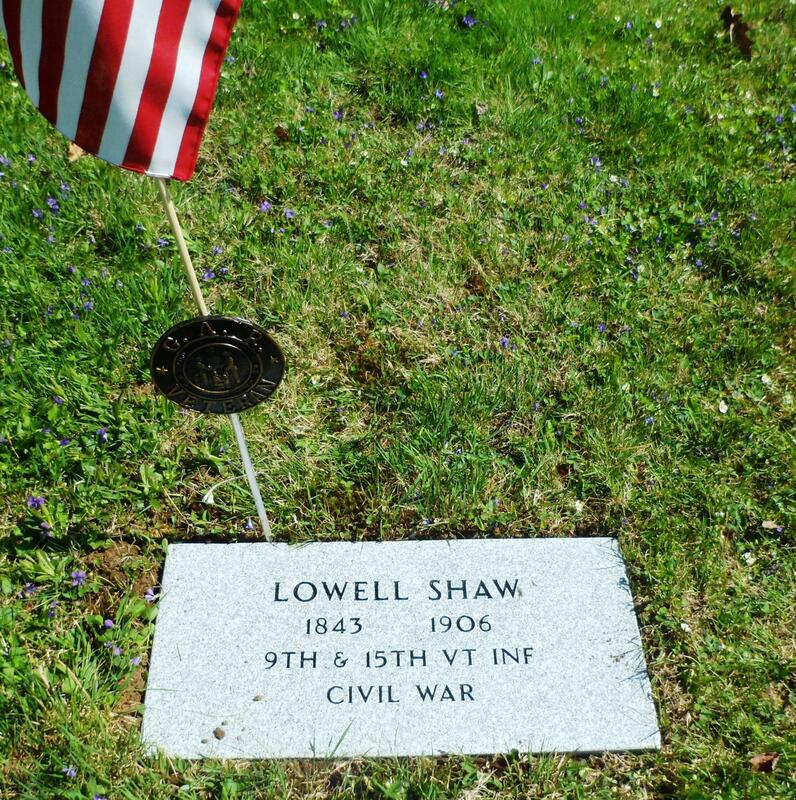 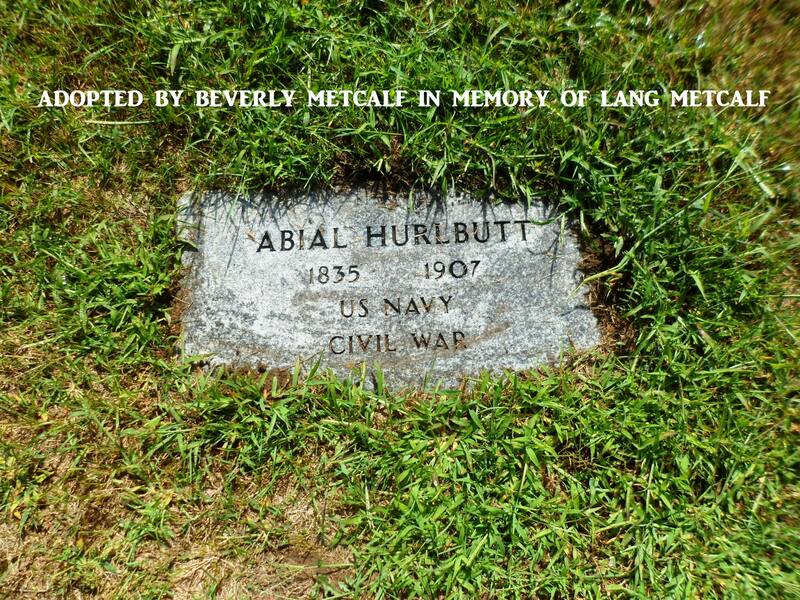 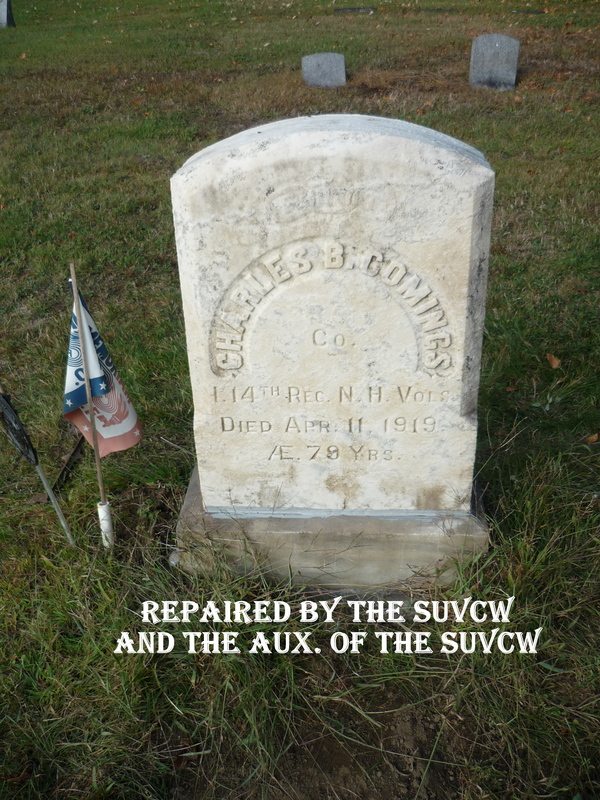 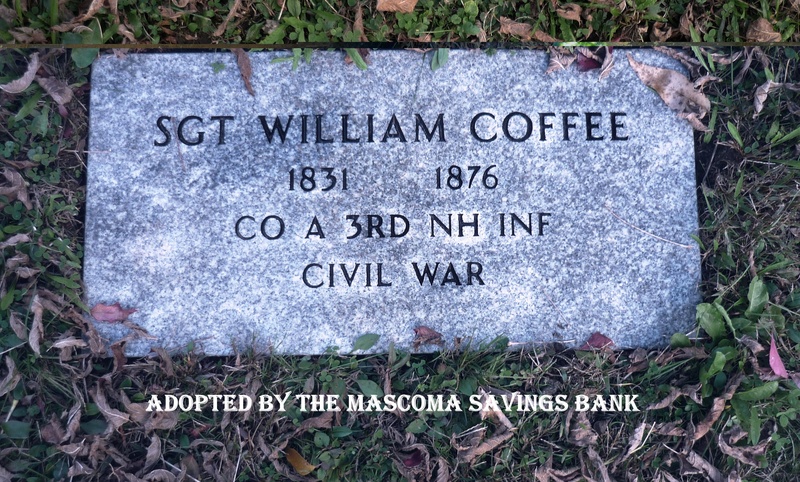 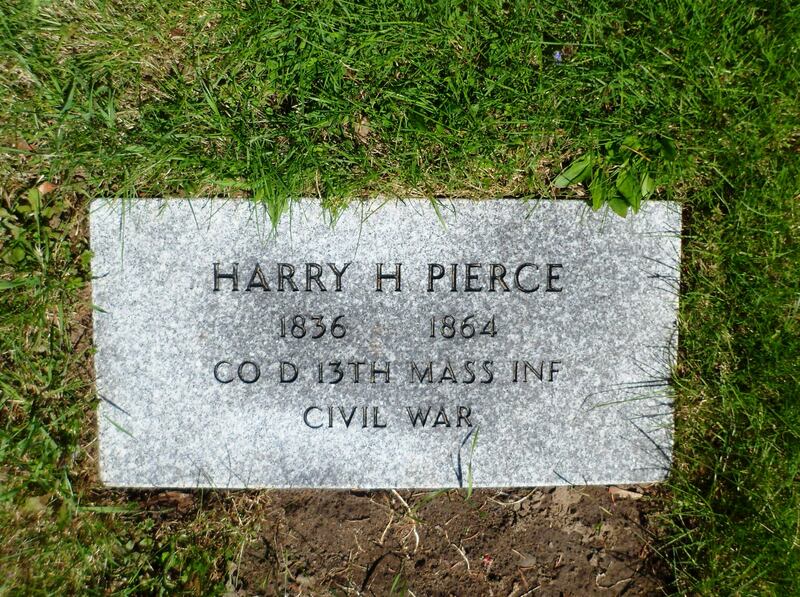 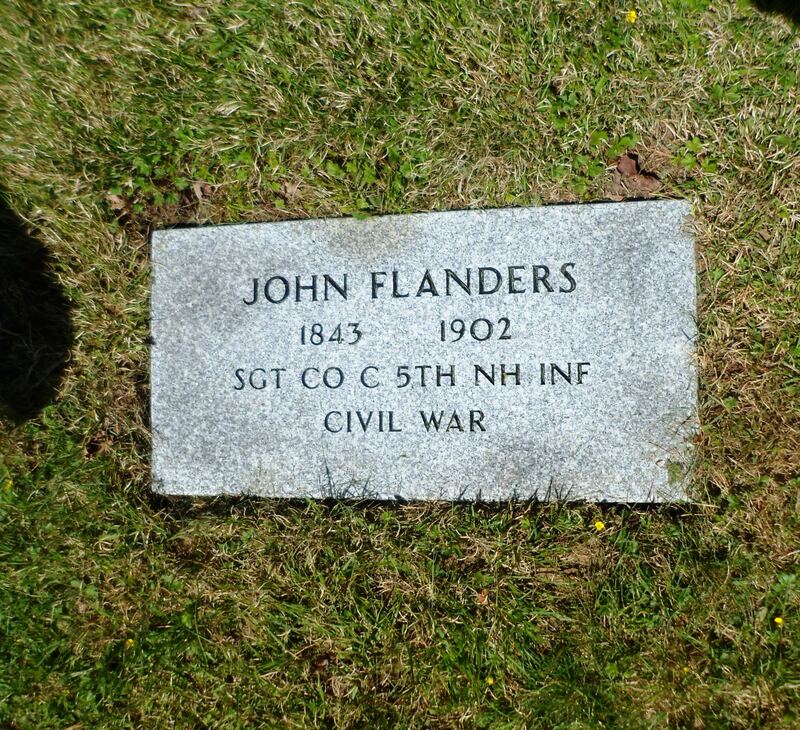 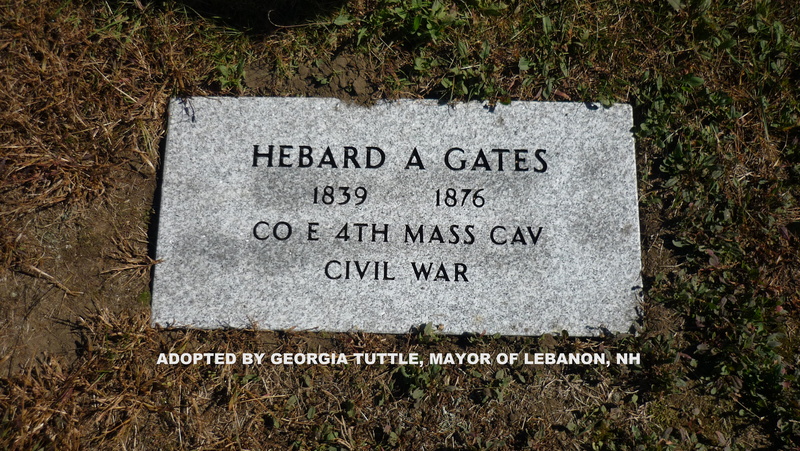 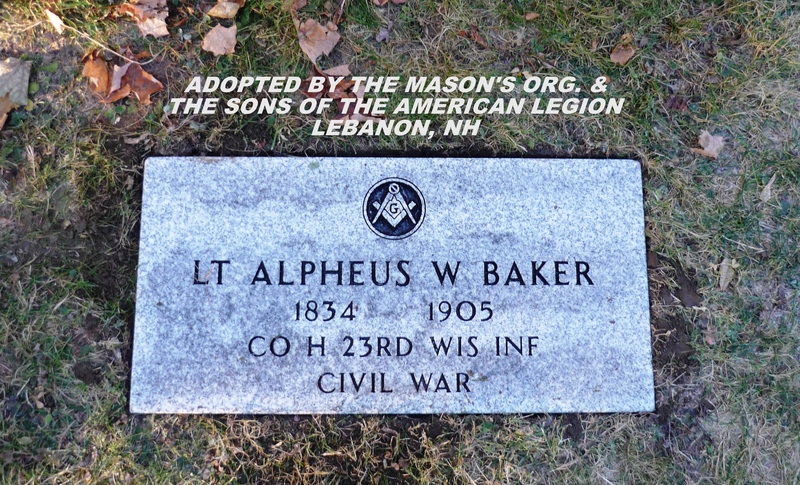 With so many Civil War Veterans buried in Lebanon’s cemeteries with no recognition of their military service on their gravestones, it’s about time something is done about it to preserve our history. 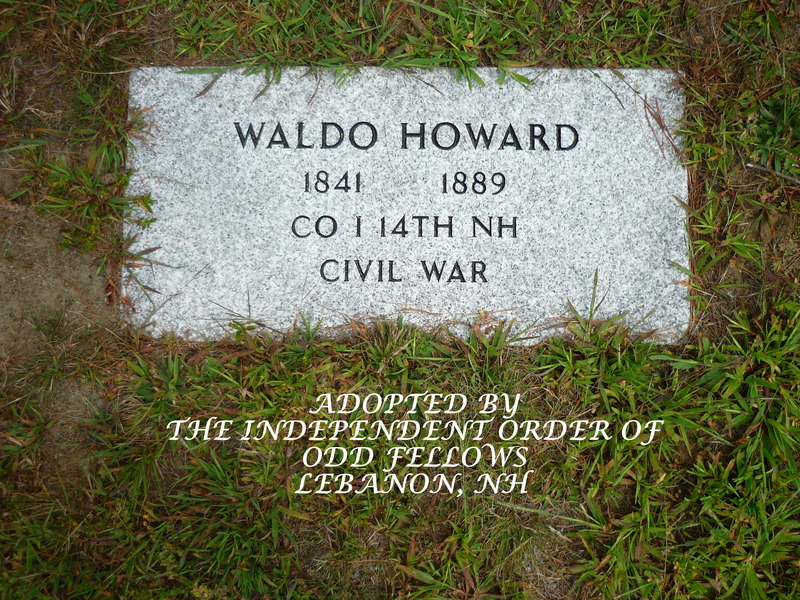 I am a member of the Soldiers Memorial Building Staff, past Secretary and current President of the Lebanon Historical Society, a member of the American Legion Auxiliary, a member of the Elks, and a member of the Odd Fellows. 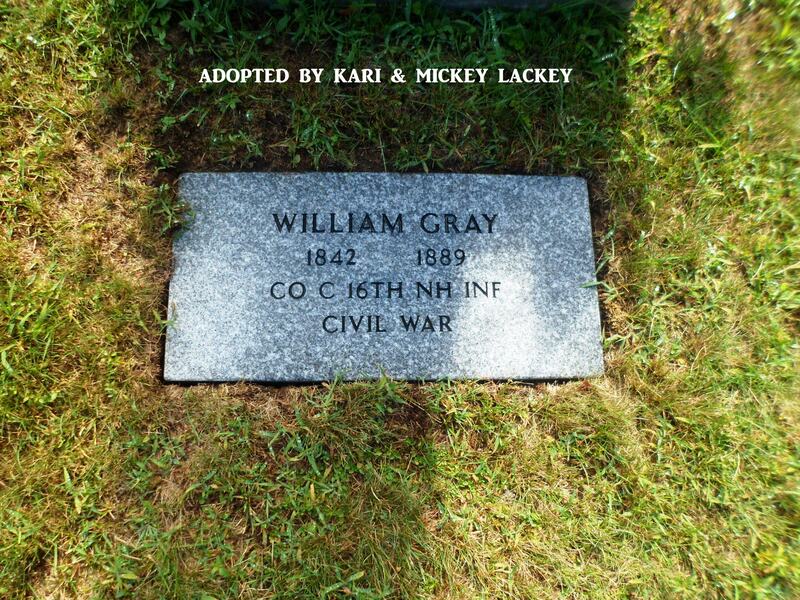 Dan Moriarty joined me in this project last year. 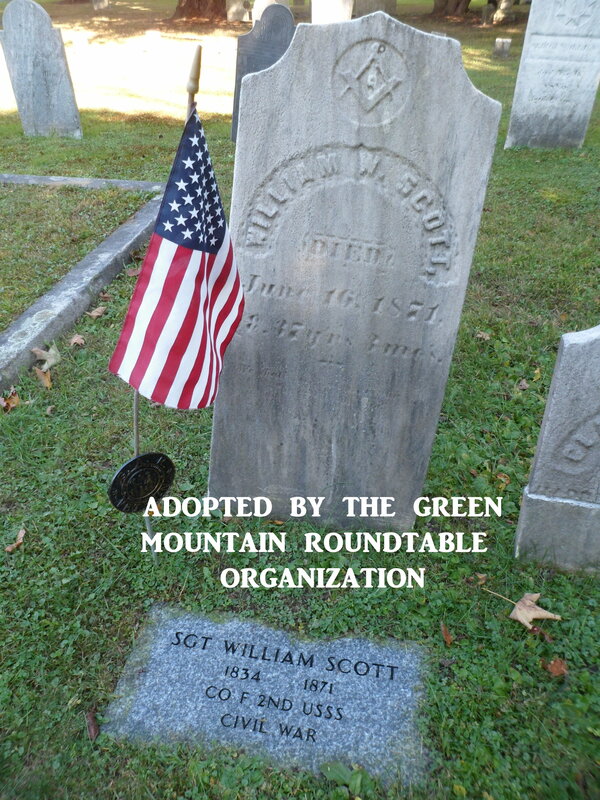 Dan is a retired Army Colonel and retired from the VA last year. 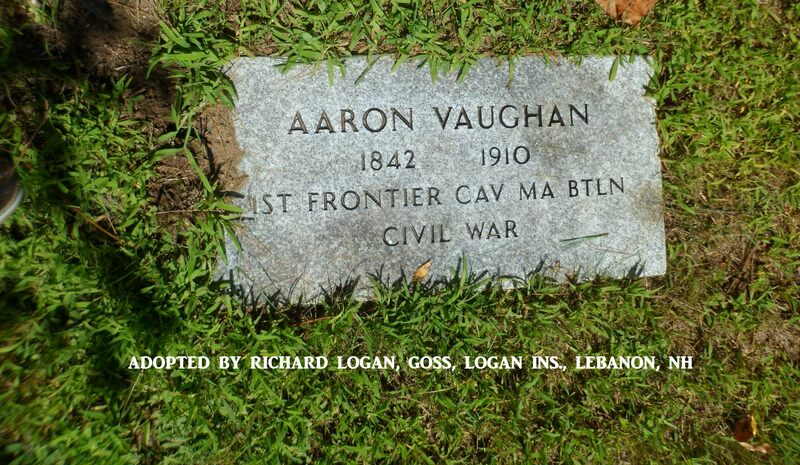 In 2009-10, I documented all of the cemeteries in Lebanon. 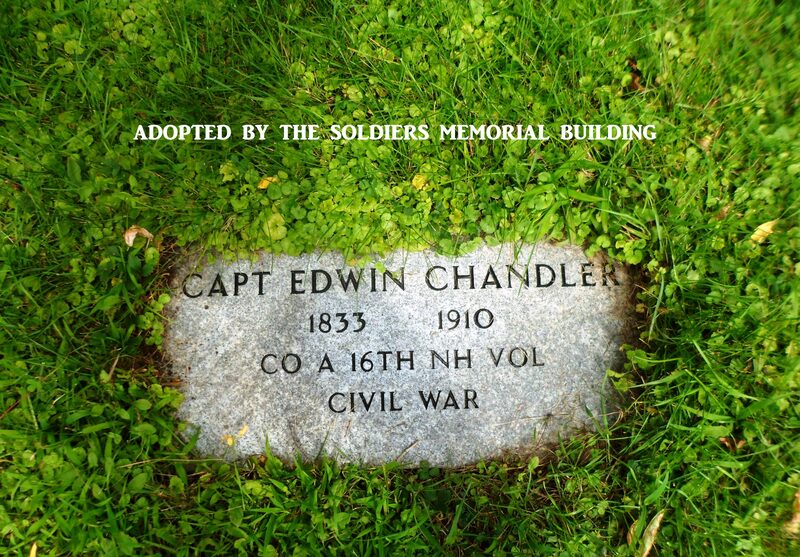 When I started going to the Soldiers Memorial Building Committee meetings and started familiarizing myself with all of the history, I began questioning the number of names on the plaques in the building compared to the number of veterans buried in our cemeteries. 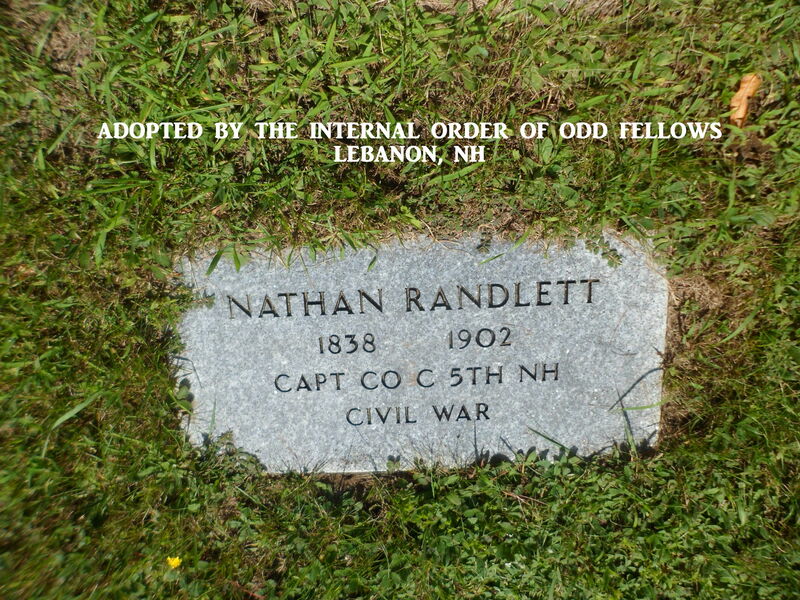 I then started researching Lebanon in the Civil War. 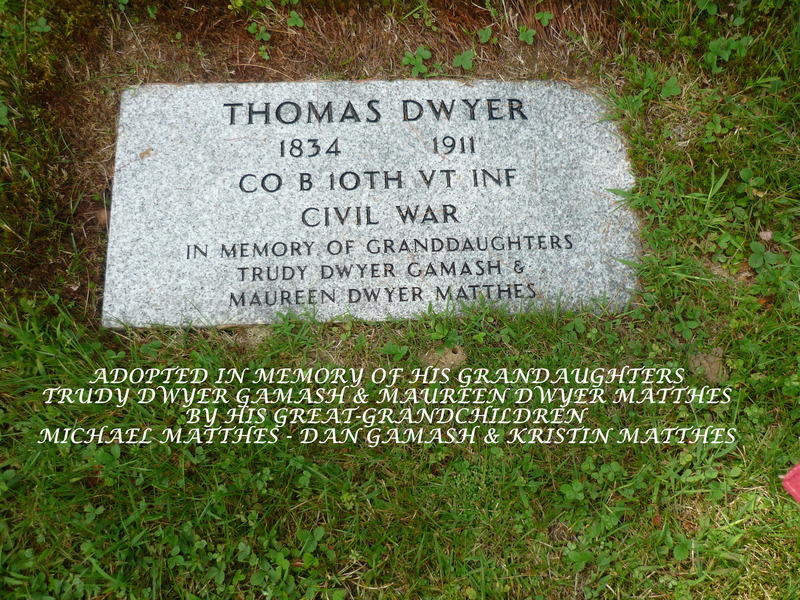 In doing so, I realized that there were many more residents that were not included on the plaques. 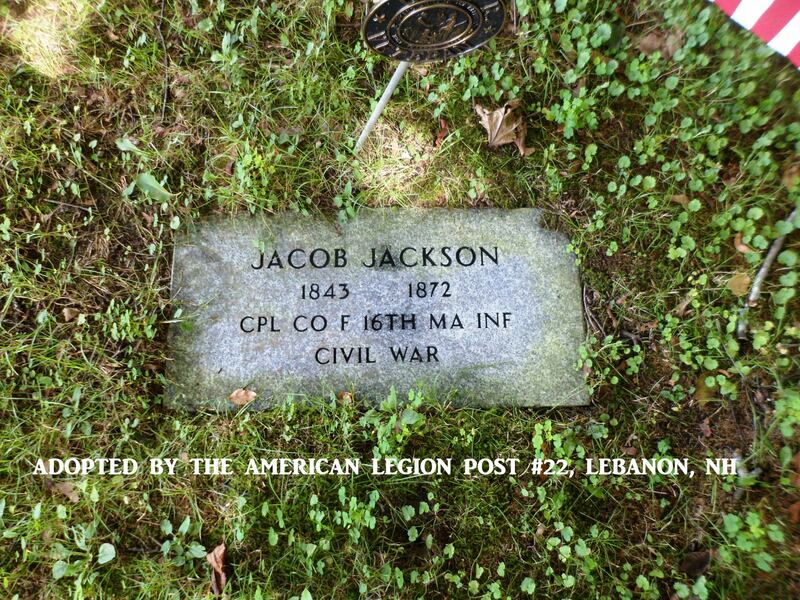 The Soldiers Memorial Board Committee approved and paid for the making of a scroll that includes the forgotten Lebanon veterans. 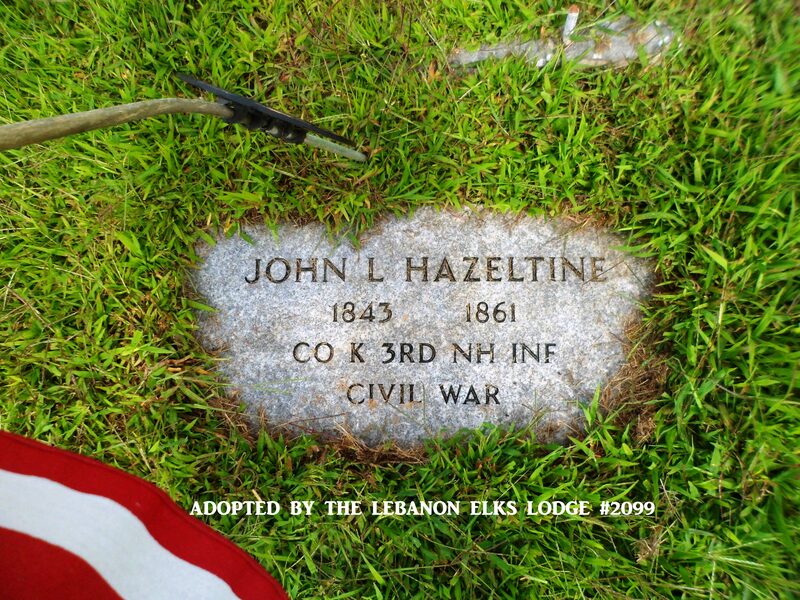 There are 73 additional residents of Lebanon on this scroll, which was unveiled for Memorial Day, 2013. 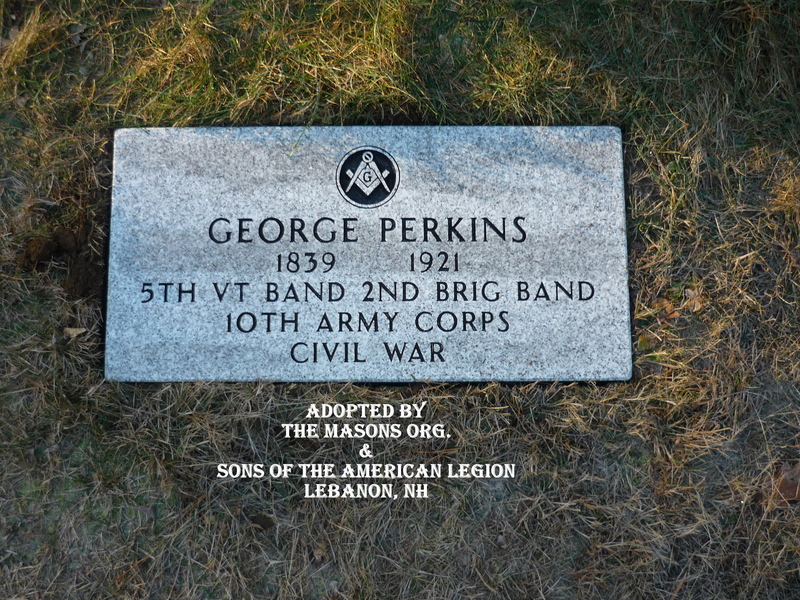 The Scroll was made by Norman Rhodes. 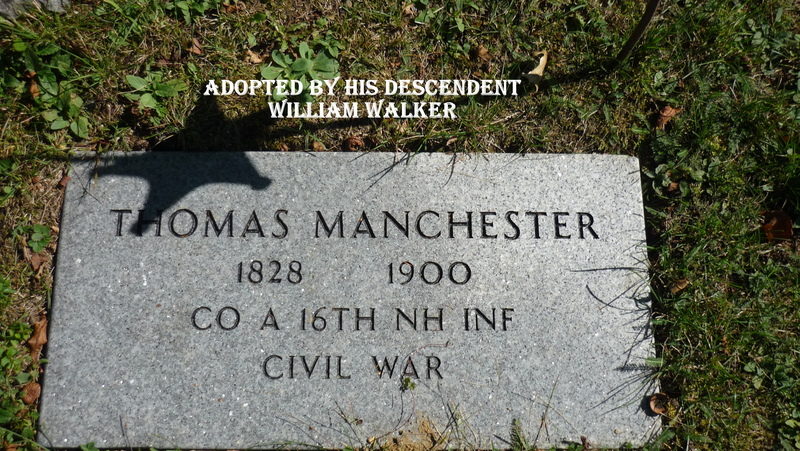 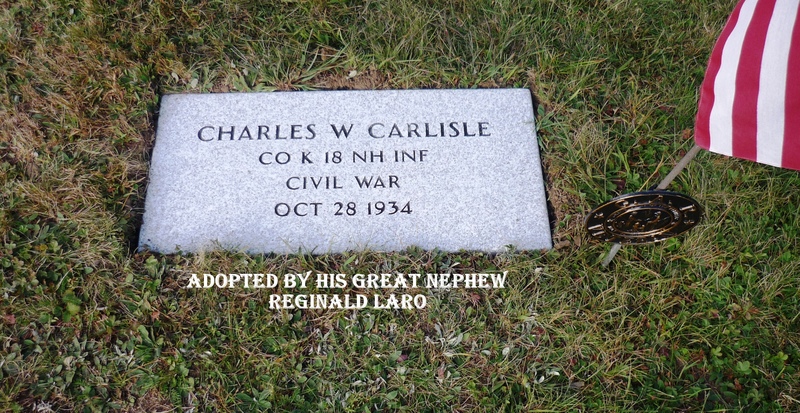 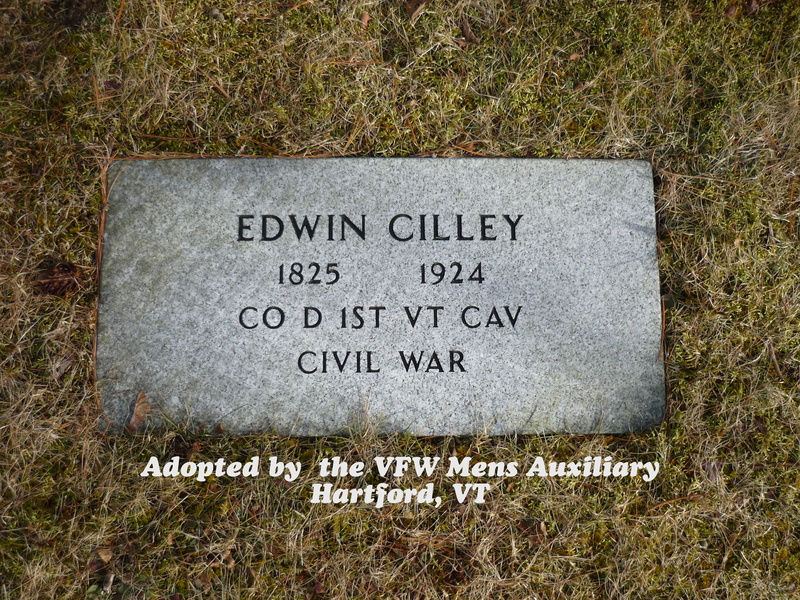 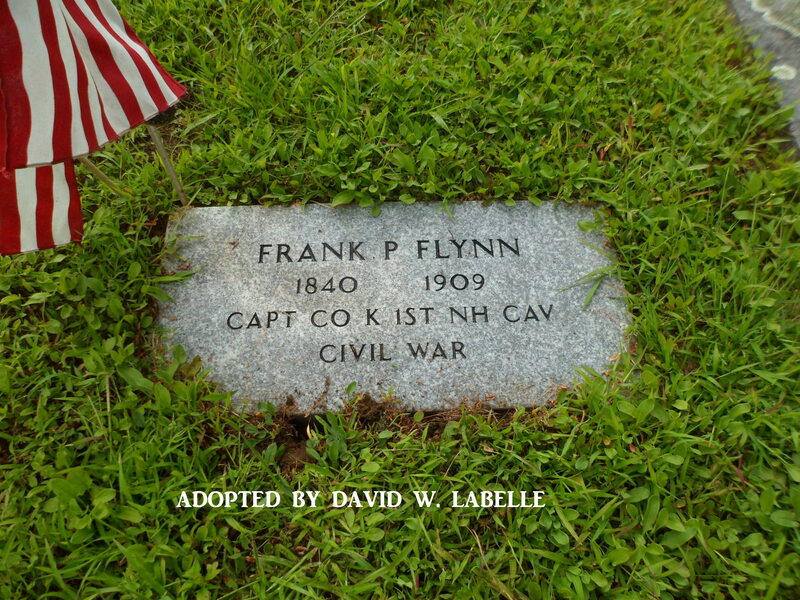 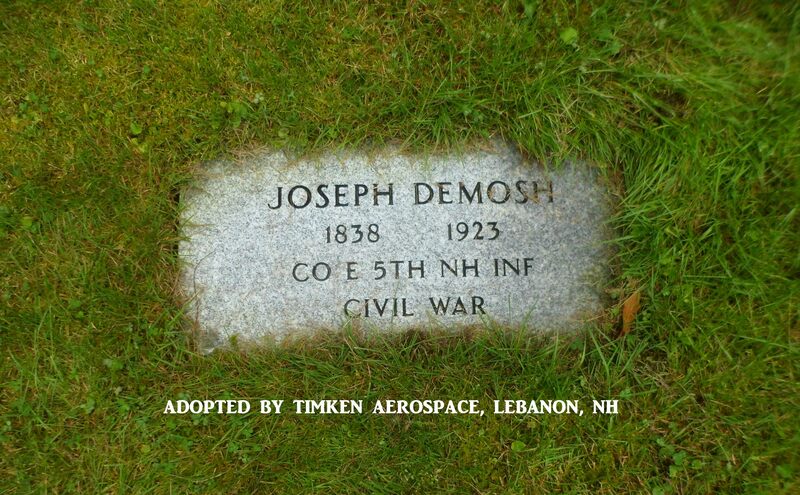 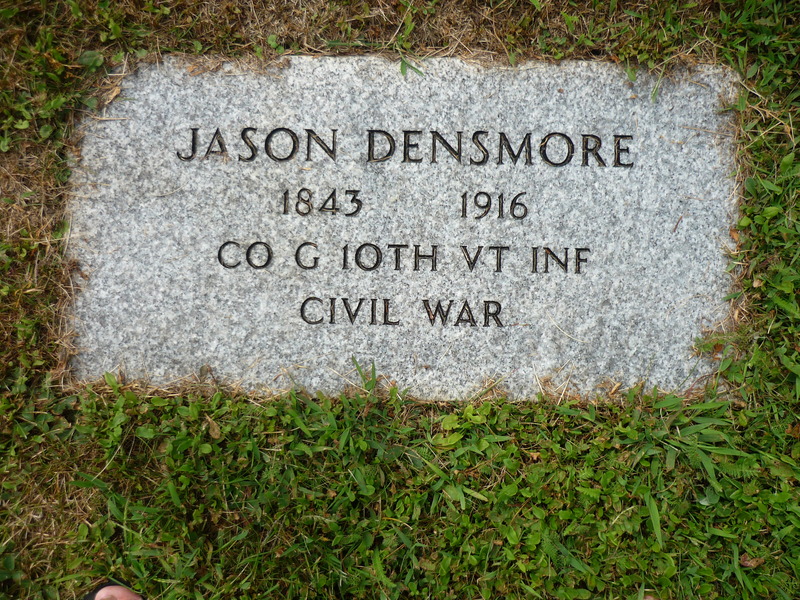 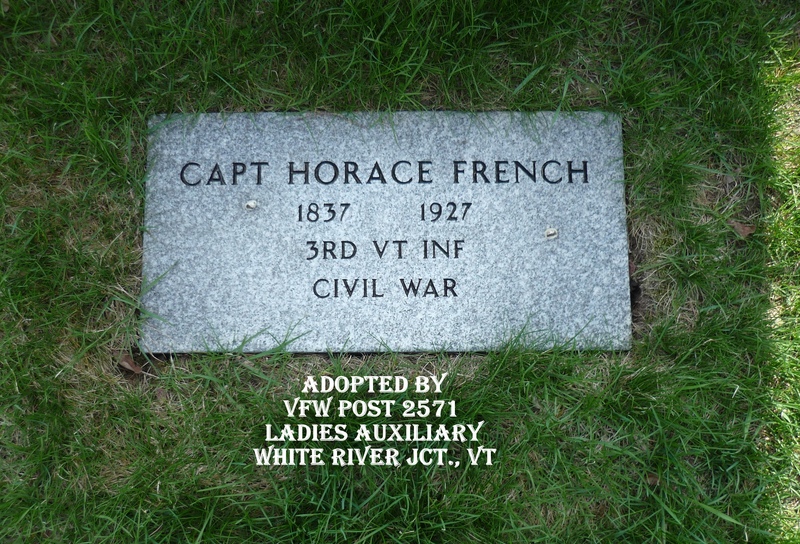 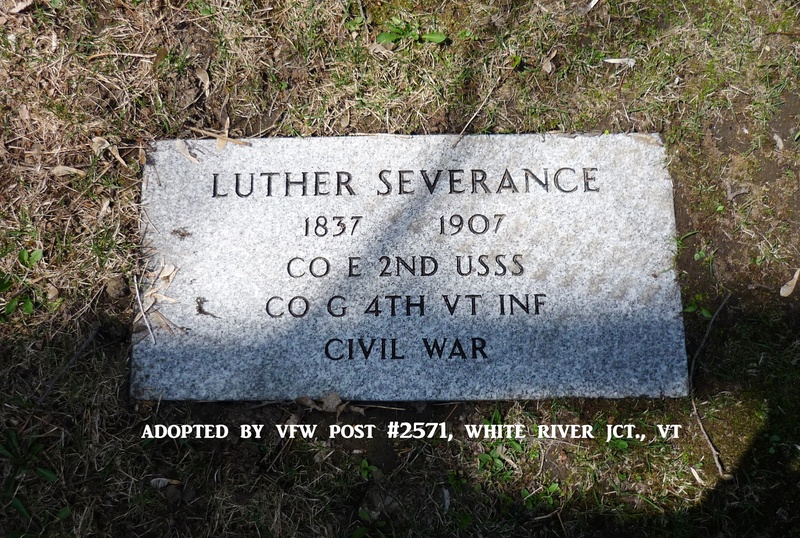 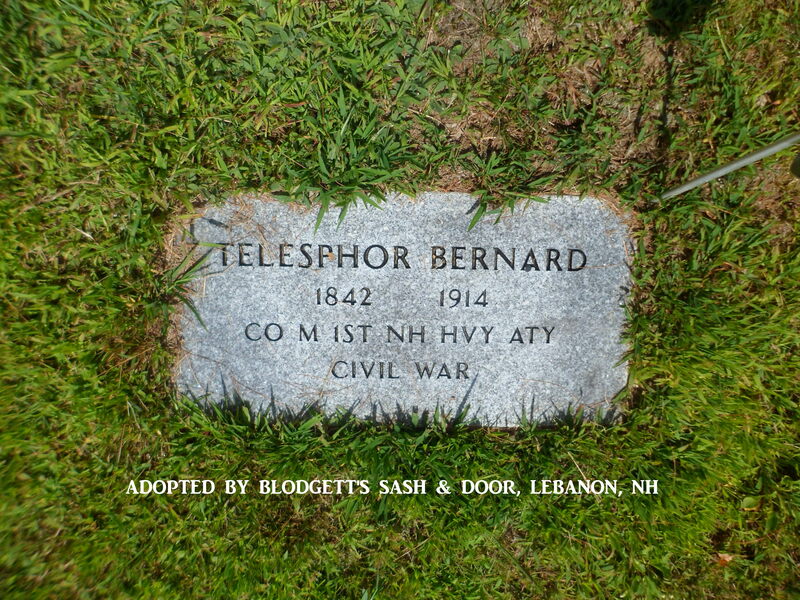 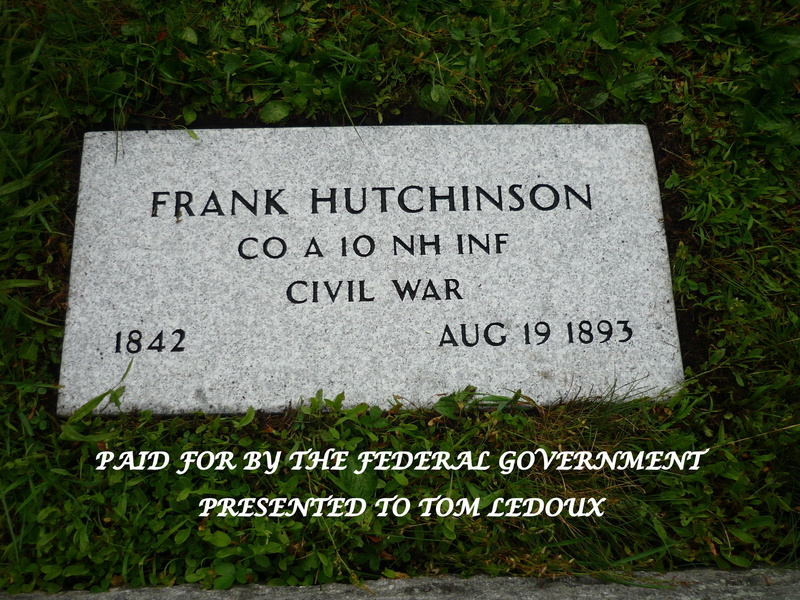 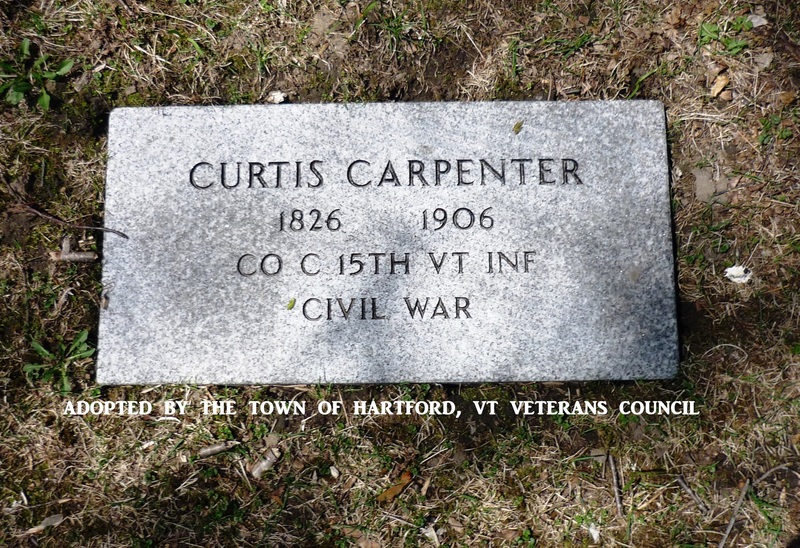 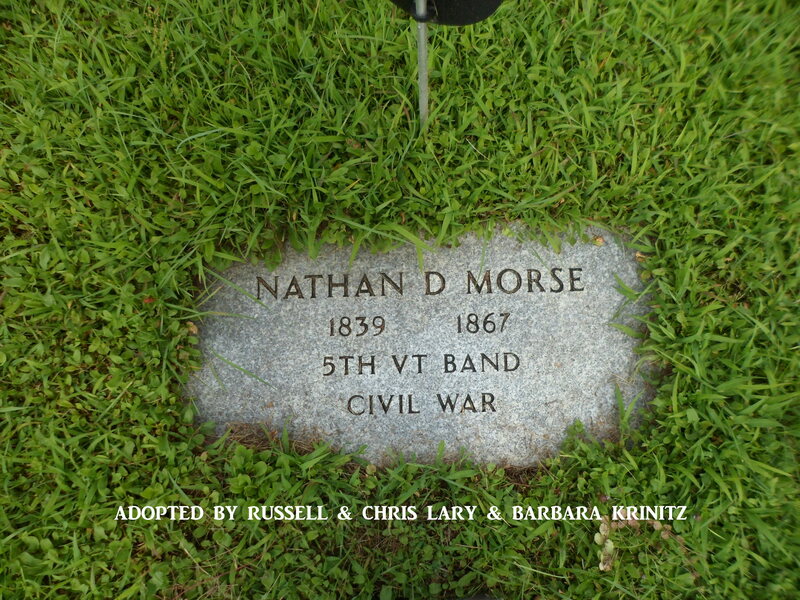 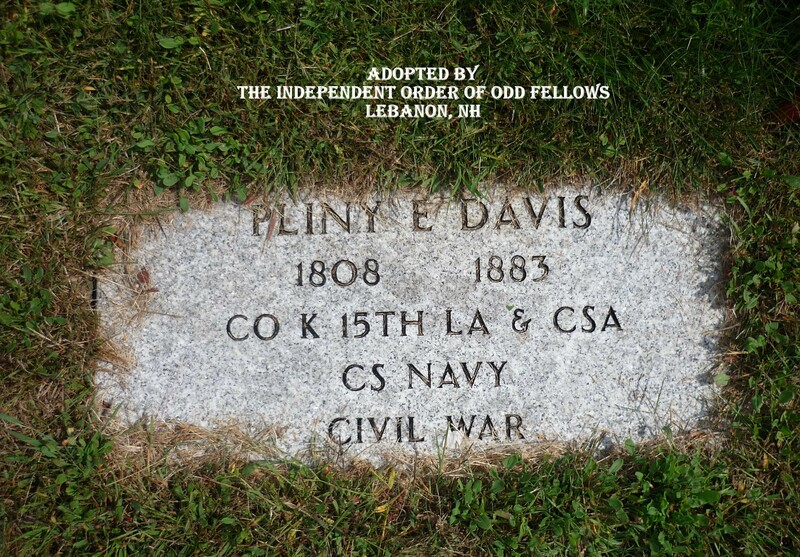 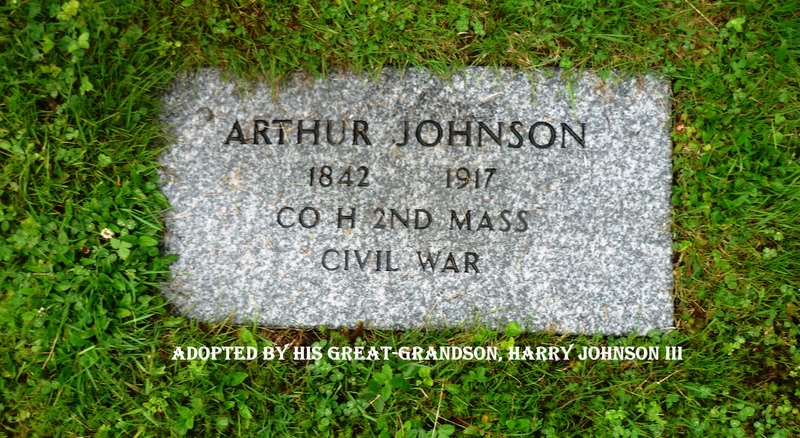 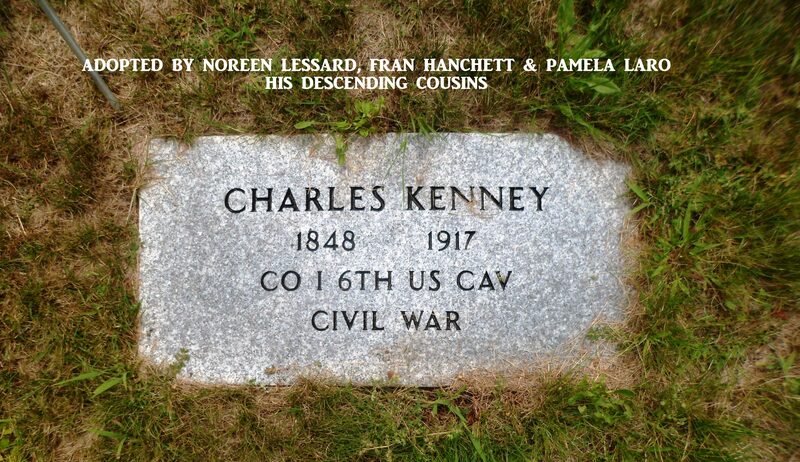 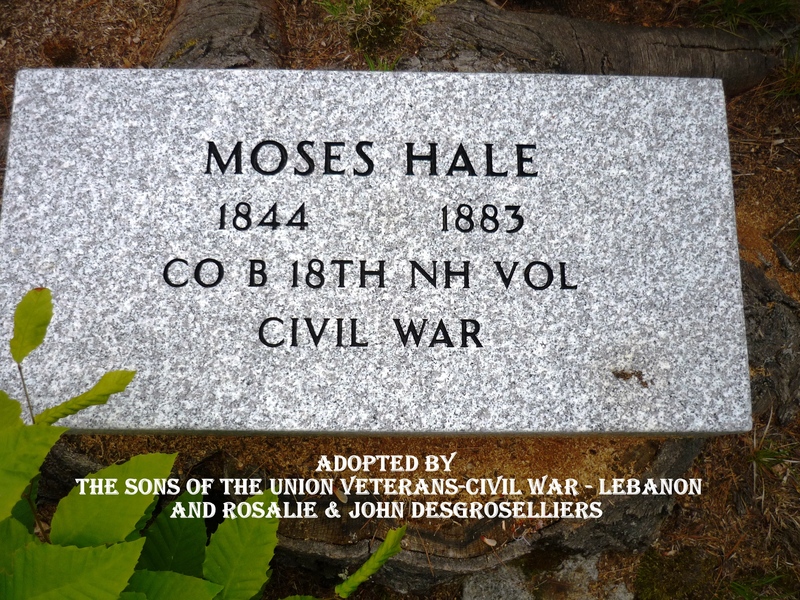 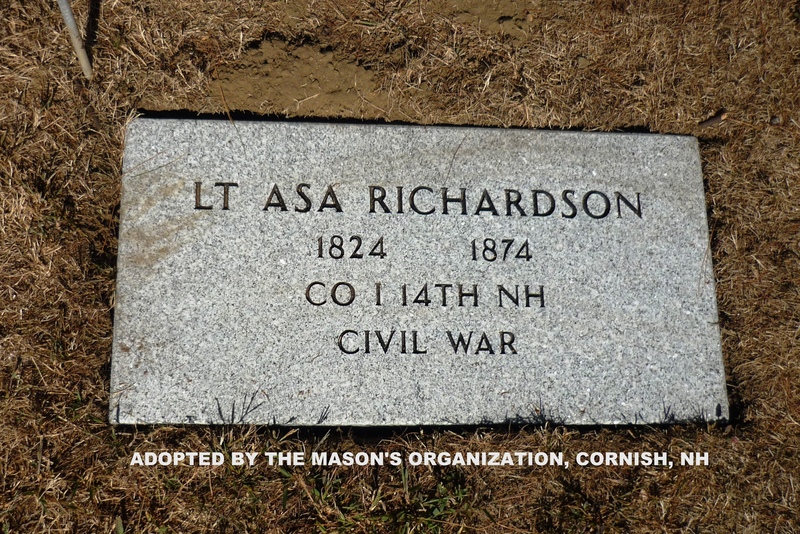 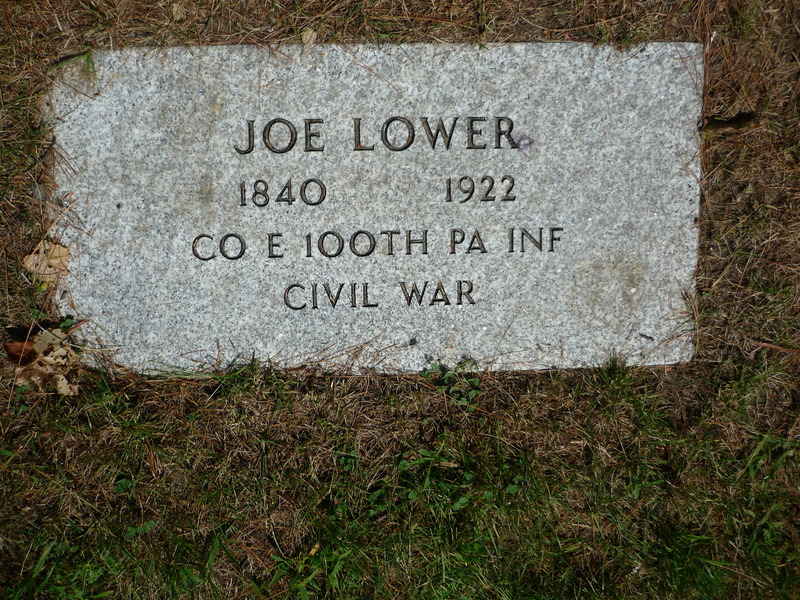 I have worked closely with Tom Ledoux of the Vermont Civil War website, and we have found a lot of Vermont veterans who settled in Lebanon after the war. 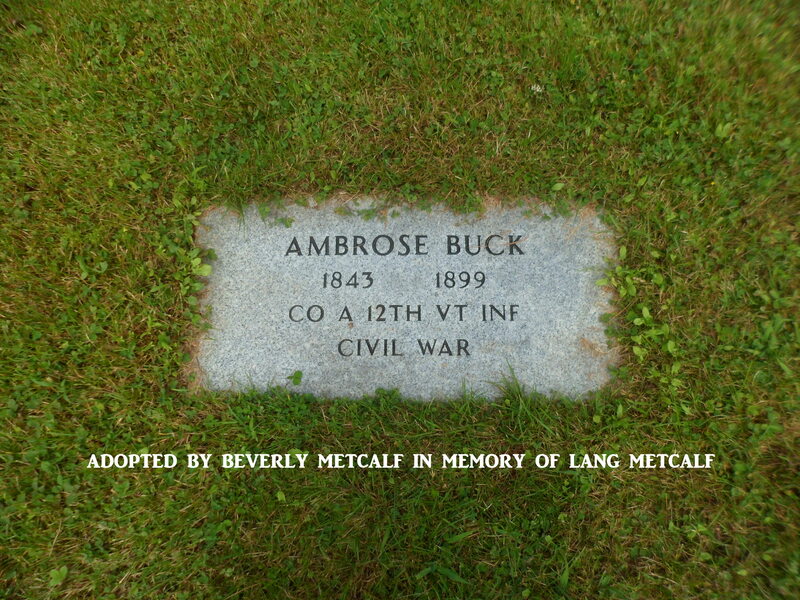 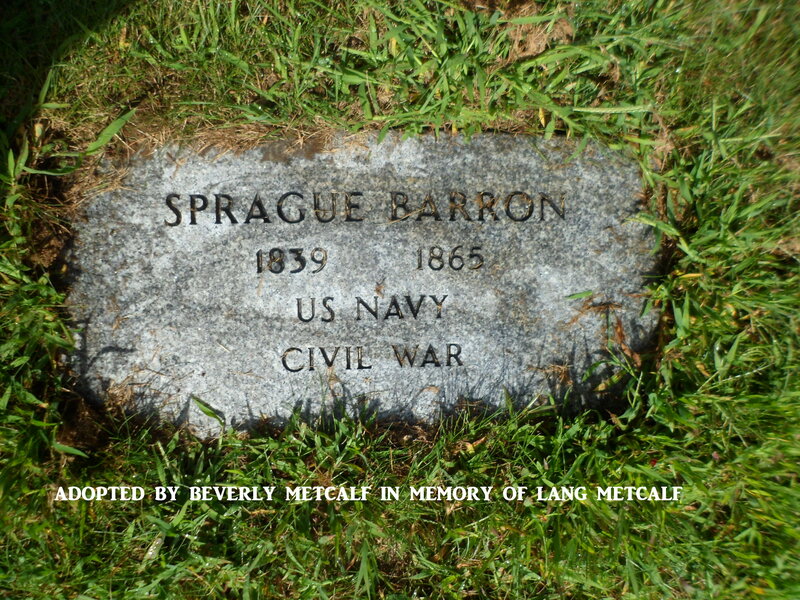 Arleen & Steve Rutledge, Bridgman’s Furniture, were the first ones to donate to this project, and it was Arleen that started calling it “Adopt a Civil War Veteran”. 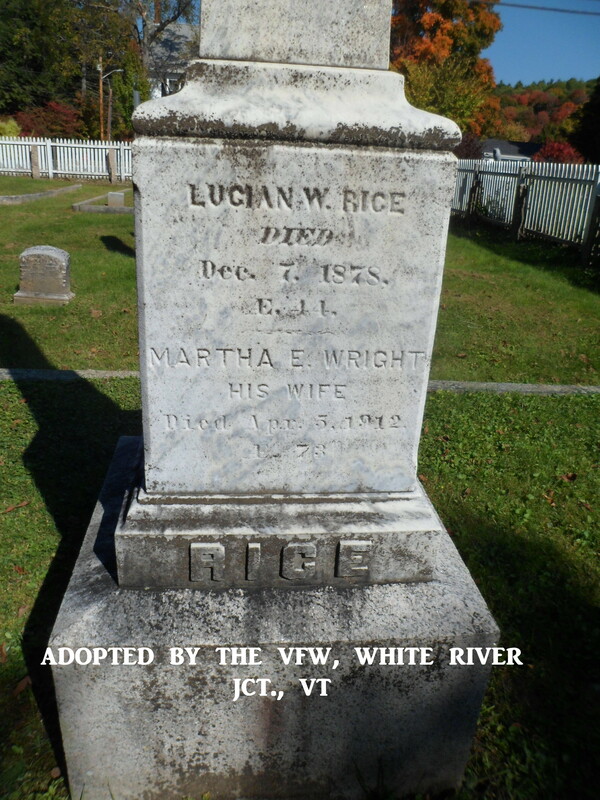 I will be forever grateful to Ricker’s Funeral Home for supplying the stones (at their cost), storing them and setting them as their donation to the project. 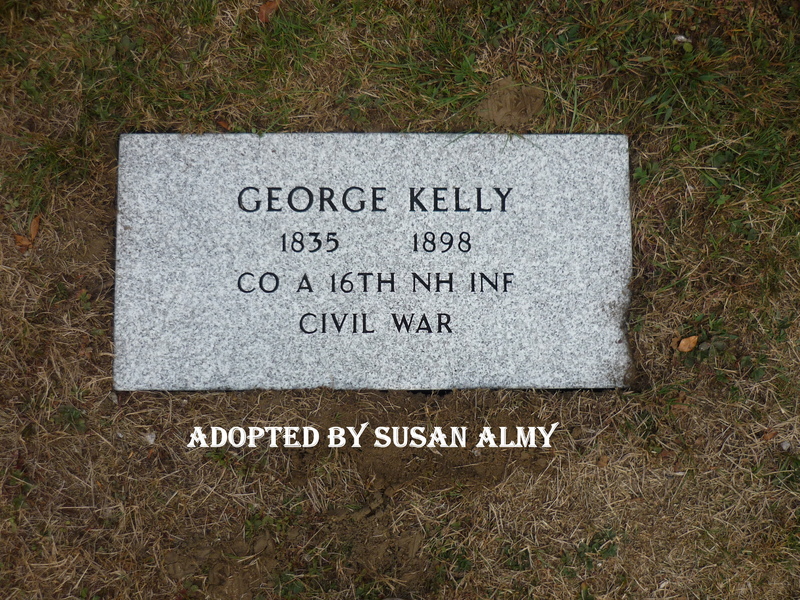 I am hoping to preserve our history with this project. 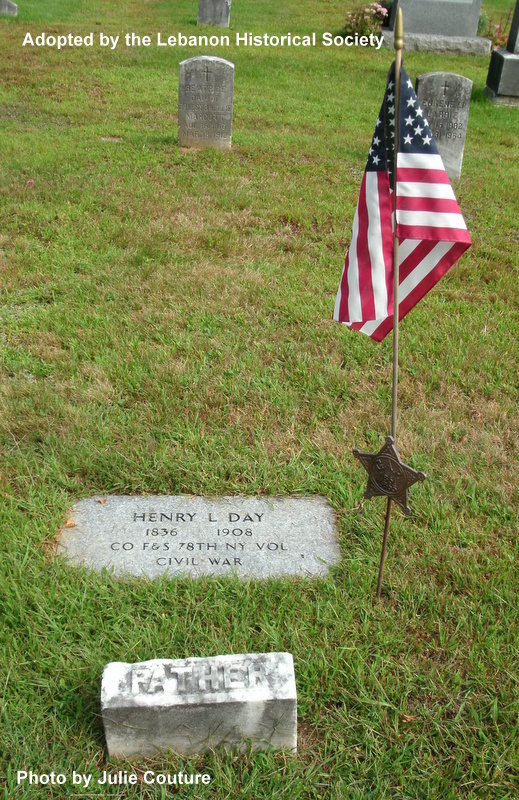 ALL VETERANS ARE IMPORTANT. 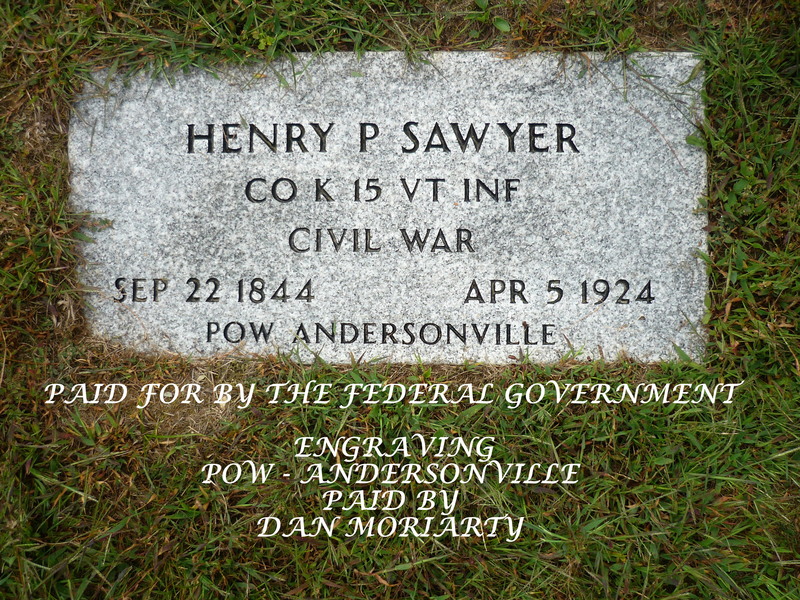 Those who adopt pay for the cost of the federal type footstone. 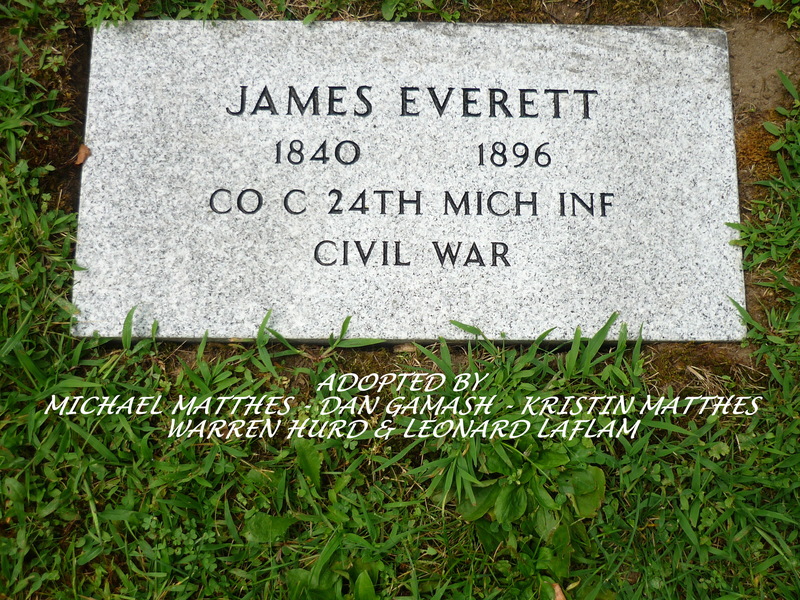 The cost has been running between $300 – $335.00, depending on the number of letters. 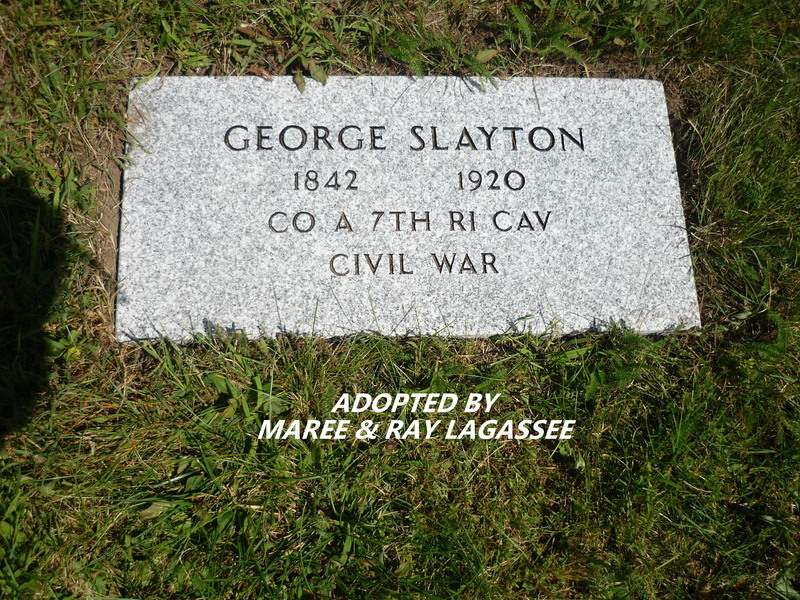 Many individuals who have adopted are sharing the expenses with others, so any amount donated would be greatly appreciated. 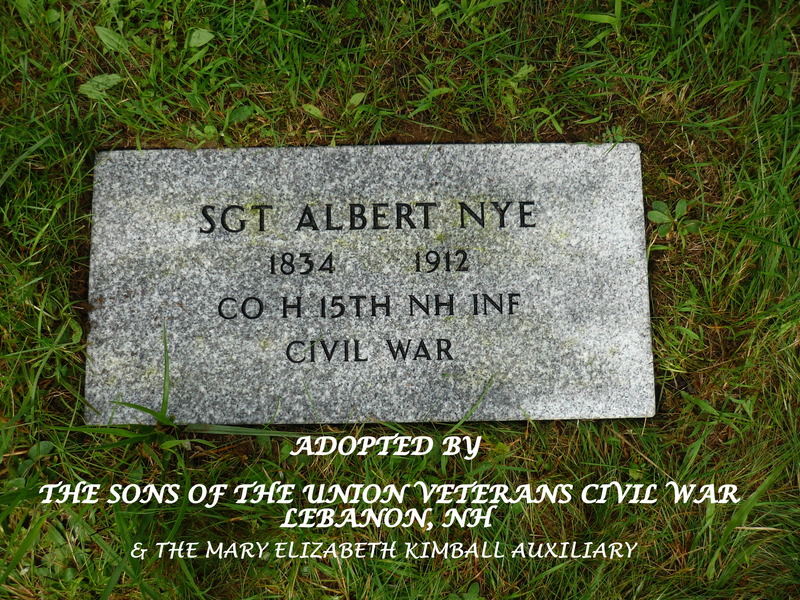 The Project is now affiliated with the Lebanon Historical Society, a 501(c)3 non-profit organization, so donations are tax deductible. 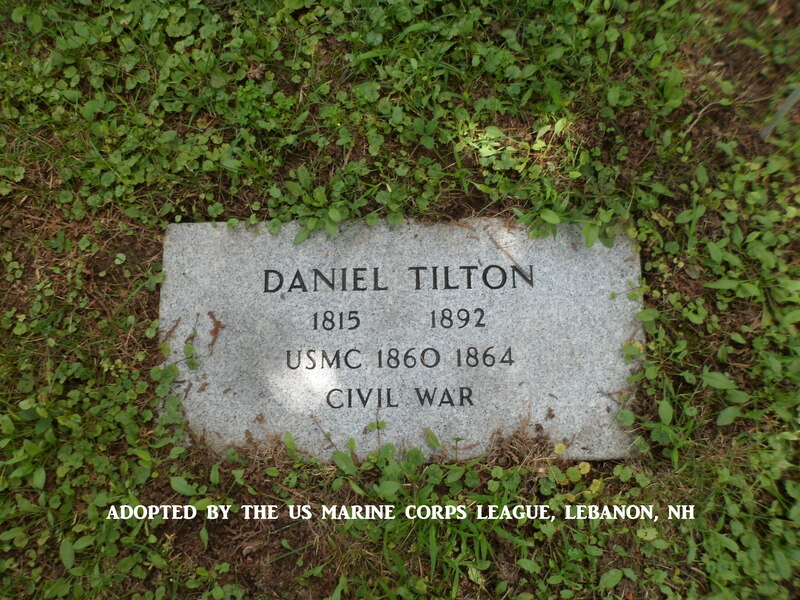 The following Civil War Veterans were not residents at the time of the Rebellion, but moved to Lebanon after the war.